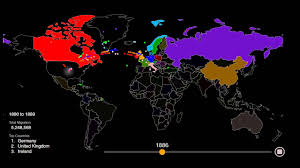 An animation that shows changes in immigration to the US and lists the top three countries of origin by decade. Also has maps and information about the major waves. Watch now.